for a wonder and this country surely needed it. I may telegraph you to come down east some where if I have any time there. 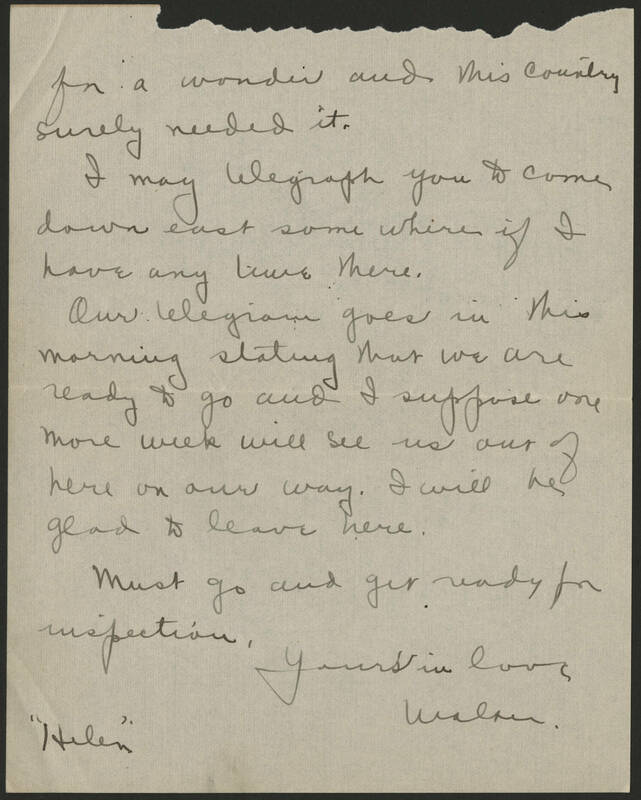 Our telegram goes in this morning stating that we are ready to go and I suppose one more week will see us out of here on our way. I will be glad to leave here. Must go and get ready for inspection. Yours in love, Walter. "Helen"